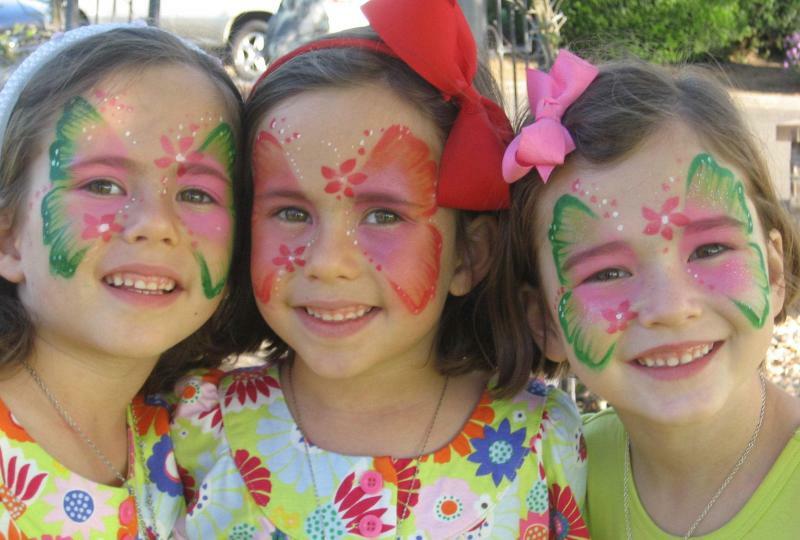 Face painting is fun for most ages and may be combined with balloon twisting for a discounted package. Add glitter tattoos for maximum entertainment for guests. Face Painting, Balloon Twisting, & long-lasting, waterprooof Glitter Tattoos. Each service is provided by an individual artist. You may hire multiple artists for one service or offer a variety of services for maximum entertainment. We will be happy to assist you with suggestions to meet your needs. Please see below for general pricing and feel free to contact us for questions, clarification, or a specific quote for your unique event. We offer discounts for multiple services, artists, or hours. These generally range from $10-$25+/hour for each pair of artists. Most popular request is for one face painter & one balloon twister for 2 hours, which is $250 total. This includes a discount of $25/hr. One artist for 2 hours is $150 (any service). ﻿Deposit usually required to hold date. Click here for deposit info. We offer discounts for multiple services, artists, or hours. These generally range from $10-25+/hour for the combined cost each pair of artists. Most popular request is for one face painter & one balloon twister for 2 hours, which is $290 total. This includes a discount of $25/hr. One artist for 2 hours is $170 (any service). A travel fee of $1/mile round trip may be applicable outside the Elk Grove or South Sacramento area. Fee sometimes waived depending on date/location. Custom face/body painting, such as for Halloween, mardi gras, or masquerade event, starts at $30 if you come to our location. Additional cost for your location. Group discount for either location if applicable. If your event is large, and you have a time constraint, we may offer fewer and simpler designs so that more people may be painted in less time. We do not need a head count, but just a rough idea of type of event when you initially contact us is helpful.﻿ Smaller groups may have more elaborate designs to choose from.